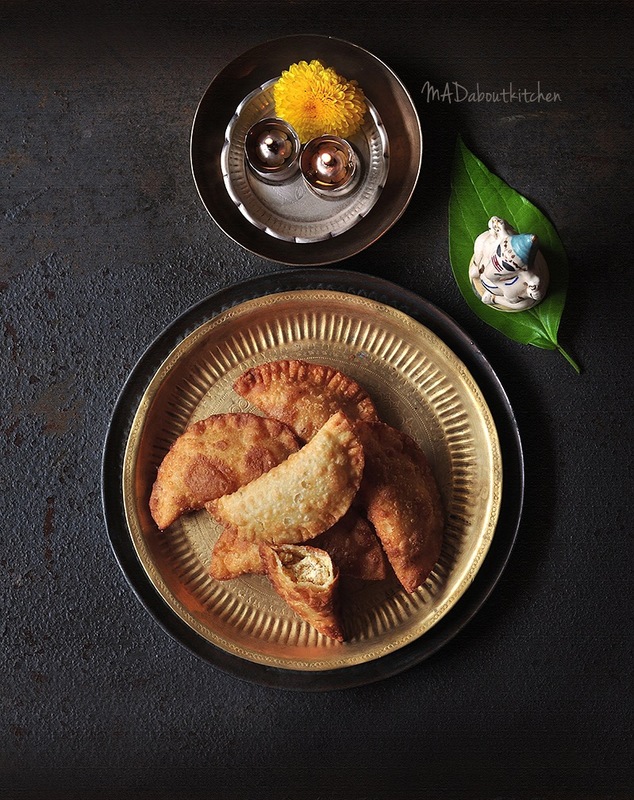 Karigadubu/Karjikaayi/ Karanji is a deep fried pastry specially made during Ganesha Festival as an offering to Lord Ganesha. 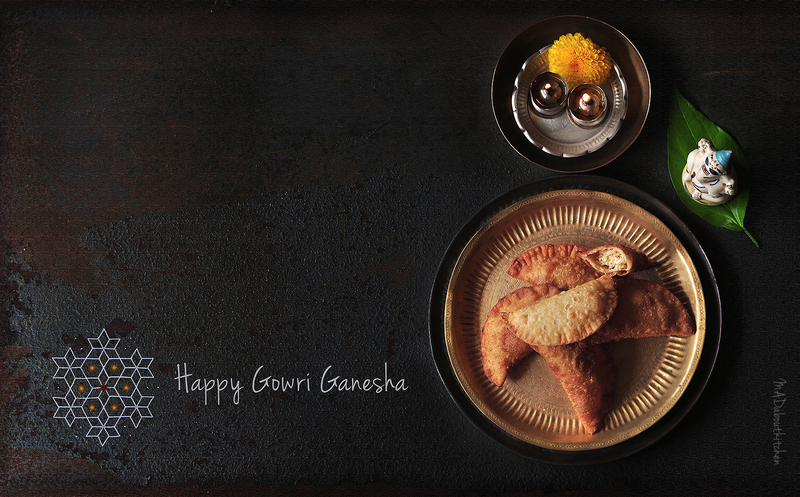 As kids our aunts and grandmom used to make so many of these dishes to offer it to Lord Ganesha. 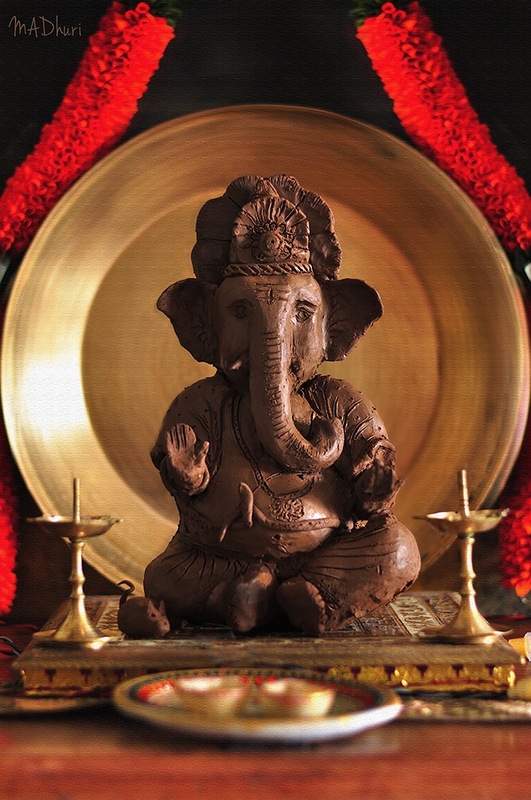 Gowri festival which is celebrated one day before ganapathi festival is special for girls. Girls are gifted with bangles and clothes. And me and all my cousins would always celebrate this festival at my grandmom’s house. My aunts and my mum would sit from morning till evening to make varities of dishes. Chakli , kodbale, karigadubu, Tengolalu, Puri Unde, Modaka to name a few. As we grew up, we got busier and we moved to far away cities, we got married and all the celebrations faded. After marriage I never celebrated at home as well. But now that I have a kid, I have decided that I will celebrate atleast 10% of what my parents would do. I have to create some memories for my kid, that he can talk about when he grows up. Karigadubu or Karida Kadubu ( fried kadubu) is a must make during Ganapati festival. This or Modak is made in the same manner with same fillings. 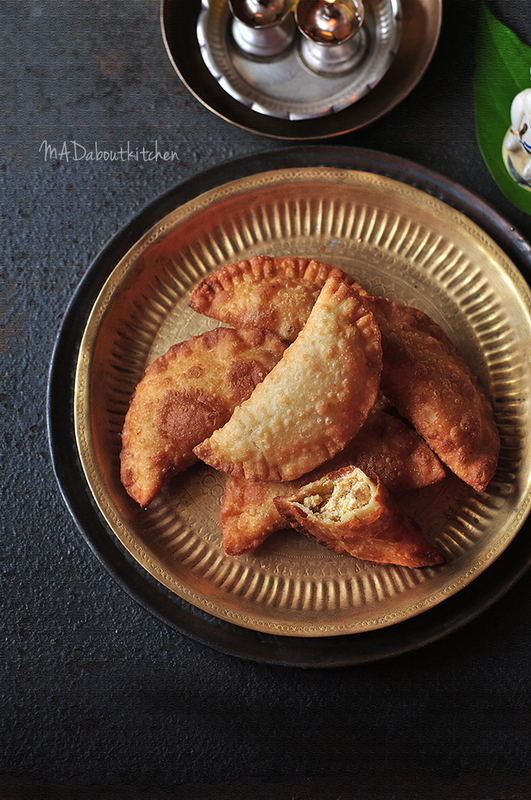 Karigadubu is a fried dumpling with flaky pastry and filled with sweet filling. i am not a huge fan of fried gram so i skip them. In that case i replace it with grated dry coconut. 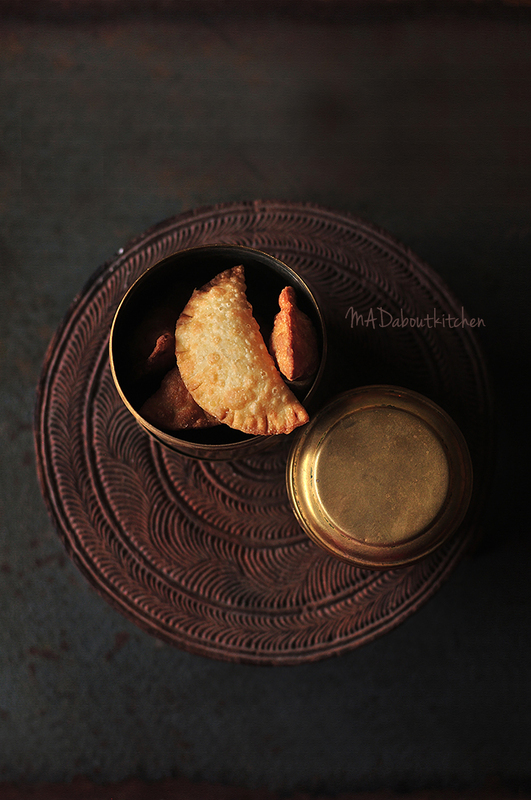 To start making Karigadubu, take wheat flour, rice flour and semolina in a bowl. Give it a good mix. Add hot ghee to this. This will make the flour bubble up. ( it is similar to how we do it in Pakoda also, remember) . Now add water to knead the pastry. Let the dough be stiff and not too soft. Knead it till the pastry is soft. Cover it with damp cloth and let it rest till you prepare the filling. For the filling ; powder fried gram, cardamom and sugar in a blender. To this add grated coconut and and give it a good mix. Now remove the damp cloth off the pastry. Knead it again and make small lemon size balls. Take a ball and then roll it into a very thin disk. Around 2mm thick. Place a small plate on the rolled pastry and trim the edges. (This will ensure you have a perfect round and also you will have same sized karigadubus. You can instead use a ring cutter if you have. ) Keep the rest of the dough balls covered in damp cloth while doing this. Now place 1 tbsp of filling on one half of the rolled pastry. Brush the edges with water, using a brush. Fold the pastry over to make a semi circle. Press the edges ensuring no gaps are left. Press the edges with fork to give it a pattern and further secure the edges. Repeat this with all the balls. Keep the prepared kadubus in a plate and keep them covered with damp cloth as well. Otherwise they will get dry and break. Heat the oil in a deep kadhai over medium heat. Once the oil is hot drop the kargadubu one by one and fry it on a medium heat till it is nice and golden. You can also remove it when it is light gold. And fry it again in the end. This is to make sure it is crisp. Cool it comepletely before storing it in a air tight container.